Apple CEO Tim Cook commented on the balance between supply and demand for the iPhone 6 and iPhone 6 Plus during today's earnings call, stating that demand is far outstripping supply despite a satisfactory production ramp-up. Cook noted that available data makes it unclear as to when supply will catch up with demand, and that the company was "not close" to having a balance between supply and demand at the end of Q4 2014. Supplies for the iPhone 6 and iPhone 6 Plus have remained tight since the launch of both devices last month, as new iPhone 6 orders still show a shipping estimate of 7-10 business days while the iPhone 6 Plus is still showing a shipping delay of 3-4 weeks. It is worth noting that the iPhone 6 has been mostly available at Apple's own stores and other retail locations, while the iPhone 6 Plus has a constrained supply in-store. According to a report by The Wall Street Journal, Apple delayed plans to mass produce the larger 12.9-inch iPad in order to shift its resources towards the iPhone 6 Plus as it has remained unsatisfied with the production output from its suppliers for its larger iPhone. A report from earlier this month also stated that the company is shifting its production balance towards the iPhone 6 Plus which may gradually improve its supplies of the larger phone. The thing is, is it really worth quoting "fastest roll-out ever" every iPhone release though? Why not strip back with the countries, and give demand to the countries that need it the most. Allocate stock properly, and catch up quicker. Whilst it's not entirely fair for more countries to wait longer.. but you catch my drift right? These kinds of posts really bother me. Should the entire world wait until every American who feels entitled has received their iPhone before they become available in other countries? I'm from Southern California so I know the personality types that feel they 'need' their new shiny phone, but you can wait. Just curious, how would you determine which countries 'need' the phone the most? It would be interesting to know how many people switched back from Android because of the larger screen. HEY TIM COOK YOU LEFT OUT THE CORES IN THE NEW 2014 MAC MINI!! You just wasted valuable time telling us this rather than making 200 more iPhone 6 models. Tim Cook told everyone in China to stop manufacturing iPhones while he told the world how successful the iPhone 6 was! Honestly, I wonder if people even THINK before posting here. Maybe that would make the phone "older" though in the sense that they can be designing and engineering for a longer period before starting production if they don't start way ahead of launch. And they would never want to produce too many so that it would appear that they weren't a hot commodity. I love Apple but, let's face it, the lines would be shorter if people knew they could just stroll in and buy one or order online a few days after the crowds die down. Just in time manufacturing principles also. Anyone who thinks Apple likes people to wait 4 weeks for their phone is just silly. Its the engineering, manufacturing rampup that takes up most of the time. Also, producing 50M phones, tying up 15B in inventory (not producing your other phones in the process!!) seems a bit idiotic. The fact that they're able to manufacture and ship 80-100M phones in 4 months is just incredible as is. I got a 128GB 6 for my wife cause her 64gb 5S keeps getting used up with our daughters photos videos. We're both not happy with the size bump. I realise there is a demand for a larger screen but the 5S is perfect for us and so many others. 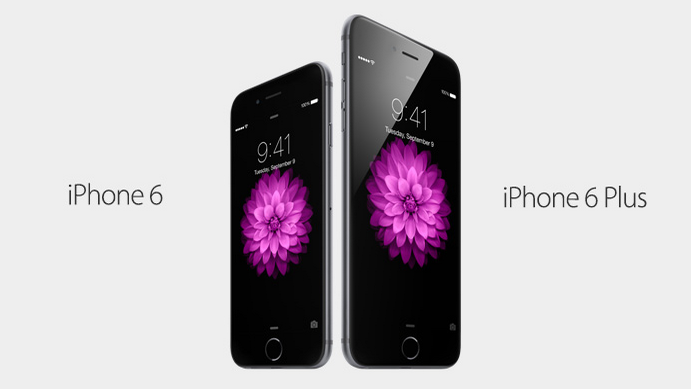 They could of released the 6plus and an updated 5S size. If there was a choice I'd love a new 5S with 128GB and A8. The size they so proudly boosted about just a year ago is now abandoned, ignoring it worked perfectly for so many customers all these years. To make it worse they even removed the 64GB 5S from the store for those who prefer it's size. They should release a version like the sports car version in their line up. 5S size, 128GB, latest CPU, same thickness as current 5S with thicker battery which resolves the protruding camera issue (so unnecessary if you ask me in the 6). Make the antenna out of stainless steel again like the 4 as my 5 antenna dents like play-dough when dropped. Thank you. Just what I was thinking. Nobody "needed" the phone most. I'm lucky that I live in the US, and that I got mine on launch day. And I didn't order it until Saturday afternoon. But the arrogance of those who would devalue someone else's chance of getting one for their own self interest is pretty disgusting. To those non-US citizens on this board: My apologies at the selfish arrogance of some of my fellow US citizens. I believe you all deserve your iPhone as soon as possible. It's hard to believe this caught Apple "Off-guard". If so, whom ever is in charge of production should be demoted. Completely amateur and not representative of a company ranked 5 in the Fortune 500. Wow. Are you one of the people who laugh at companies who have stock building up in warehouses? Head of Production: We produced eleven billion and we still don't have enough. Tim: Who is buying these? Seriously!? Aliens: heh heh heh. delicious. and with that 1GB of RAM, it's already destroy any android phone with 2GB of RAM out there. What's your point?